The show opens with the 10’ o clock news presented by newsreader Kirah McDonagh announcing the headline news and cuts to sport and weather with Oisin Lankin. His shows main competitor at this time of day in terms of listener ratings would mainly be RTE’s Radio 1 show Today with Sean O Rourke, seeing as it’s on 10 am on an opposing station. However, seeing as Pat Kenny’s show opens with news and then features, Sean O Rourke includes more business. So those who want more current affairs and then a human interest story will tune into this show. The Minister of Justice’s reaction to the comments made by Oliver Connolly to a guarda whistle-blower. Public accounts committee say it’s not acceptable for Rehab to only answer questions they deem appropriate in terms of their spending. Gardaí investigate the discovery of three viable explosives found in Tallaght last night. Russia’s defence ministry said fighter jets on their Western boarders have been put on combat alert. Four men to appear in Cavan district court in relation to a burglary. 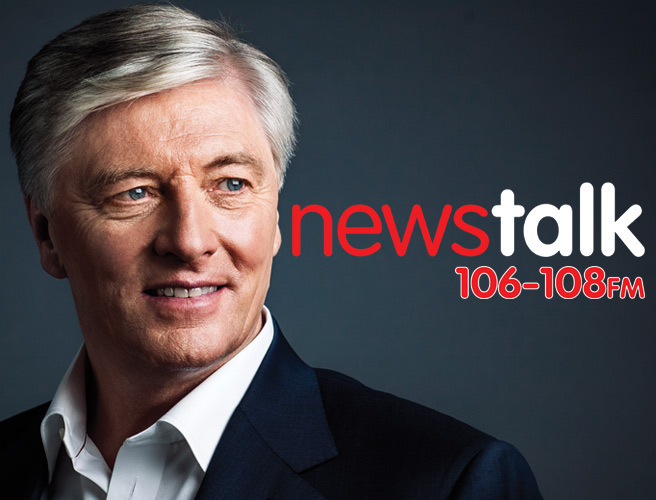 Pat Kenny, the shows presenter, comes in to analyse one of the lead stories of the news, the Public Accounts Committee (PAC) and their response to rehabs denial to give them requested information. He then adds his own story about the Irish rail ban of alcohol on trains and then continues his series of interviews with what he calls the “Telecom giants” today’s interview being with UPC. He does a profile on who was Rosie Hackett and then tackles the issue of eating disorders, bringing in a young woman recovering from anorexia and getting an expert opinion from a psychologist giving tips on how to deal with an eating disorder in the family. A sit in in a pub in Waterford and why, and making money on apps and its profitable industry. I will be analysing part 1 of this show, an hour long segment, which ended after the UPC interview. The running order (RO) makes sense from the news value angle. He opens with one of the big news stories of the day, PAC’s John McGuiness and continues to discuss a second news story with the panellist, the GSOC development. He also includes a clip of Mike Wallace in the Dail, adding a further dimension to the debate. They devoted almost half of the shows airtime to discussing these two topics – roughly 20-25 minutes. Then took a break when John McGuiness left the show after thirty minutes, and when they cut back in Pat Kenny began by reading our people’s reactions to what they just discussed, either texts or tweets. Then he followed with a story that affects most public transport users on Irish rail with their recent alcohol ban on a couple of their Waterford routes, speaking to an Irish Rail rep on their new legislation. He then continues with a tough interview with the UPC manager. After those three stories, he moves into the more human interest features side of his show, with a profile on who was Rosie Hackett, moving to how an eating disorder will effect families and finishing with a business based topic. This is a sensible format, with the majority of the show dedicated to the interview with John McGuiness, talking about the PAC’s opinion on the undisclosed salary figures which then goes on to the discuss the Garda whistle-blower scandal. I thinks the airtime is suitable since it’s almost necessary to hear the back and forth opinions and an in depth analysis on two huge issues currently in the news. People will want to hear what Mr McGuiness has to say, and they really want to see how far Pat Kenny will push him. But personally I think the telecom interview is slightly unnecessary as there’s nothing in relation to it currently in the news, it seemed to me to be more of a filler than anything else. Also I would have moved the app business based story up a bit further in the RO too, to keep business after news and then to end with its features. Pat Kenny’s own style as an interviewer is quite good, especially in the way he addresses his audience. Before any official quote comes in he clearly and slowly outlines who they are and what they do, so the listener is never lost. He knows how to seek a direct answer – in terms of the PAC story he wouldn’t let the topic drop unless he got the answer he needed. But he knew how to work with them to get the answer he wanted, softly suggesting a new area of discussion. His tone is also quite conversational and easy to follow. He keeps a strict balance of topical debates between politics, current affairs and human interest. He has direct panellists relevant to each story and link in audio clips when he needed more balance. The show is most definitely aimed at the 30+ age group, especially the elderly. It caters to the over 30’s in terms of its update on current affairs and its expert opinion and debate, and its family based segment on anorexia. Especially to the elderly age group, since he does a historical look back at Rosie Hackett born 1892. However I do feel that many twenty something’s will be part of his demographic given that they too will listen to the current affairs issues, and the alcohol ban discussion may have tuned in a lot of young people who like to travel to events and expect to be able to drink while doing so. He engages and includes the audience feedback regularly throughout the show after every add break, he reads out a handful of responses to what was discussed. When I checked there wasn’t too much activity on Twitter, only a handful of people who tweeted their response to the show with #PKNT (Pat Kenny Newstalk). Two being on the issue of Rehab, and the third (humorously) on the waiting time on a UPC helpline.